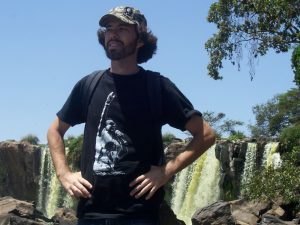 You <em>Need</em> to Go to Istanbul | Hujambo! 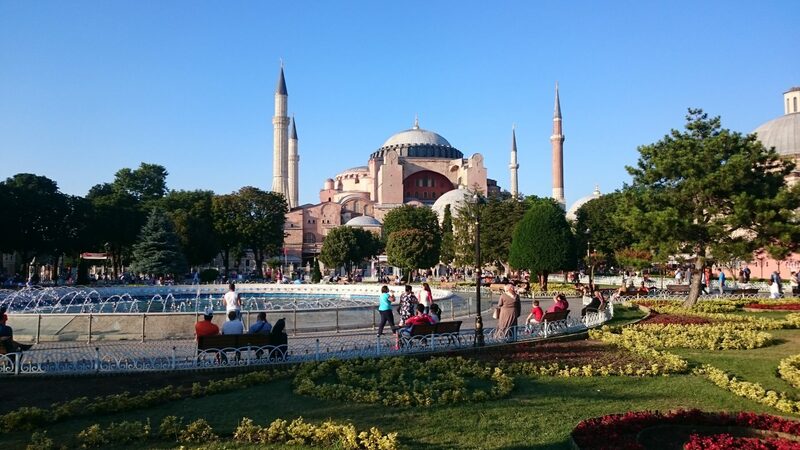 The Hagia Sophia is now a museum, and shares a large complex with a beautiful water fountain, tulip garden, and several other relics, including the Sultan Ahmet Mosque (aka The Blue Mosque). 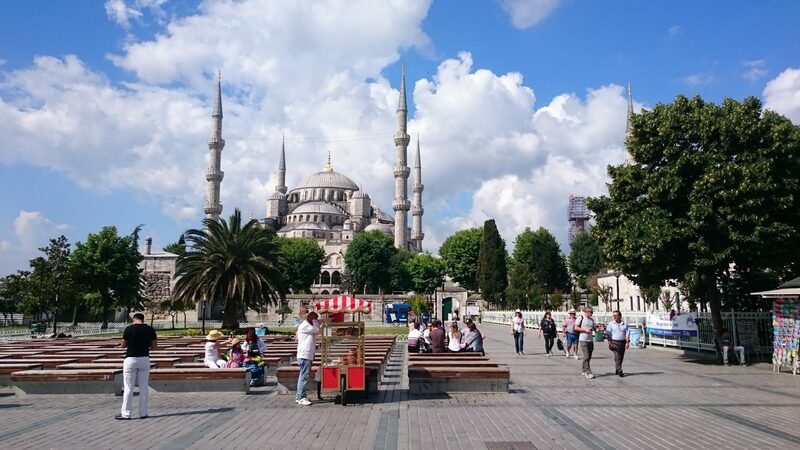 No trip to Istanbul is complete without visiting these two sites! Indeed, I always walk by and stand in awe of them for at least a few minutes every time I’m passing through the city. 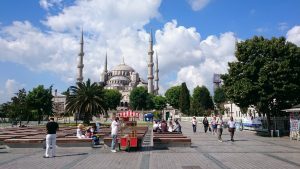 If you have more time you can also walk around down behind the Blue Mosque where there are some cute streets with shops and restaurants. Turkish Lira — honestly, just do it at the airport. Otherwise, you’ll kill yourself trying to figure out which place gives you the most money after the market rate and the commission. I changed $100 in town and got 265 Lira, then changed $100 later at the airport and got 255 Lira. That’s a difference of three short metro rides, or one shawarma. Your choice. Turkish bath aka hamam — pretty sweet, you get to lay on a hot marble stone while some Turkish guy scrubs you with a big, rough sponge. It’s more fun than it sounds! Not all venues are created equal, and some can be weird. I had a good experience at on by the Burnt Column metro stop on the blue line, and a bad experience at one near Sultan Ahmet. 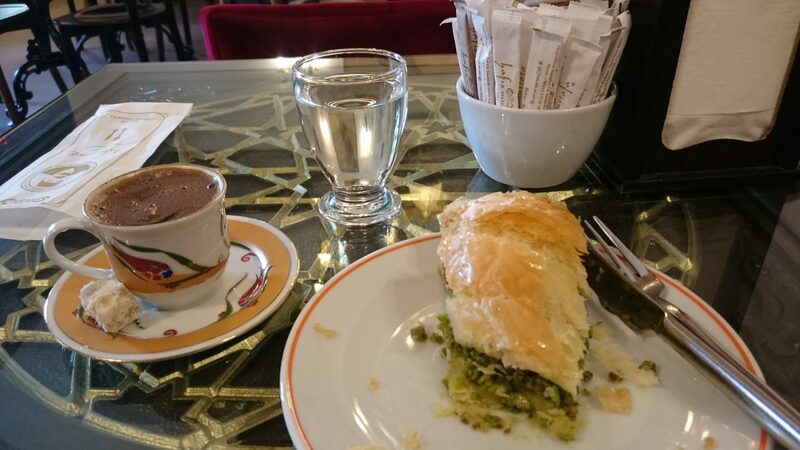 Eat baklava — they’re all good, but I’d recommend anything with pistachios, as it’s kinda a thing in Turkey. They all go well with Turkish coffee (black, no sugar, of course).